1) Durian: Known as the ‘King of Fruits’, a Durian can evoke strong feelings. This is one fruit that you will either love or hate, there is no middle ground. 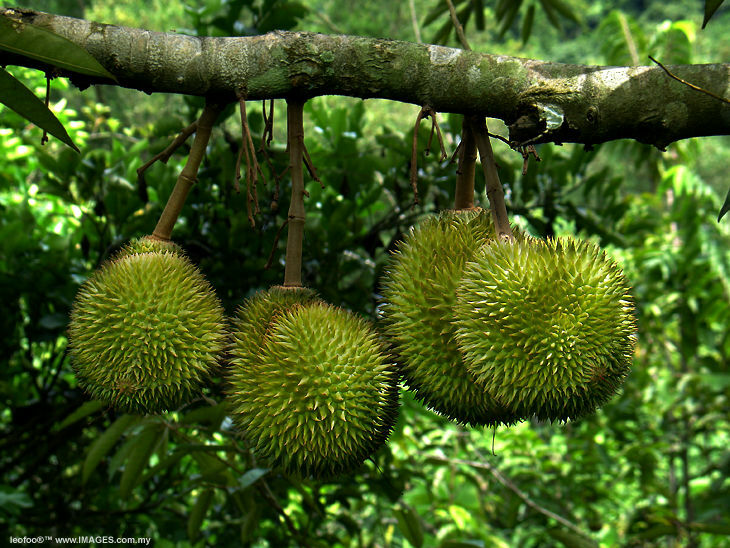 Covered in thorn-like husk, the Durian has gained a reputation because of its distinctive odour. Durians come in exotically named varieties, ranging from Red Prawn, Green Skin Ang Bak, D604, Red Litter and Golden Pillow. 2) Rambutan: Covered in what appears to be tentacles, the Rambutan can be misleading. The outside can look distasteful but the fleshy insides are sweet and great to eat. The Rambutan is the perfect pre-snack before you venture into the territory of a Durian. 3) Mangosteen: Here’s a fruit that isn’t the normal shape. The inside of a mangosteen looks like an orange with very pronounced edges. The outside is a deep shade of burgundy and might not look like the most appetizing fruits. However, one bite of this fruit will change any preconceived notions you have about this. While the curries and the local cuisine are a must-try for all tourists, the fruits can also satisfy your curiosity to try all things new.